If you want to lose fat most effectively, then you’ll want to learn how to calculate the calories necessary to hit your fat-loss goals. Counting calories is only one small piece of the puzzle. When you’re ready to be incredibly dialed into your nutrition and improve your body composition, you’ll also want to be in tune with your macronutrient breakdown. This post provides five simple steps to calculate macros to lose fat. This is part 3 of a 3-part series. I’d recommend getting a full understanding of part 1 first with Lose Fat and Reduce Body Fat Percentage with Basic Math where you’ll learn the fundamentals of calculating what your target calorie-intake should be. 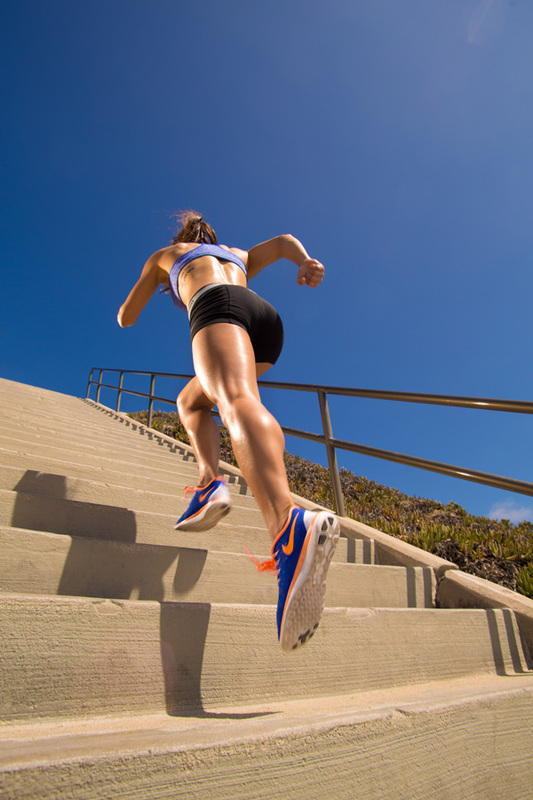 Then move to part 2 of 3 in How to Lose Fat and Maintain Muscle Mass where you’ll learn the key principles in losing fat while simultaneously improving your body composition. This article, combined with the two aforementioned posts, will equip you with the necessary tools to take your fat-loss to the next level and get you closer to a leaner, more sculpted physique. In the five following steps, you’ll learn how to calculate your macros for fat-loss. There will be a bit of basic math, and it may get confusing, so grab a pencil and some paper. Write down your numbers, and you’ll be well on your way to understanding and utilizing a highly effective method for fat-loss. The details of how to calculate your TDEE for fat loss is outlined in Lose Fat and Reduce Body Fat Percentage with Basic Math. As an example, based on my TDEE, my calorie target to lose fat is about 1,400-1,500 calories per day. In calculating your macros to lose fat, the first macronutrient we should focus on is protein. The reason why we should focus on protein first is outlined in How to Lose Fat and Maintain Muscle Mass. The easiest way to determine your protein requirement if you don’t have a way to measure your body fat percentage is to consume 0.6-0.7g of protein per pound of body weight. If you are overweight or obese, it’s a better idea to consume that same ratio of protein per pound of lean body mass. This requires you to measure your body fat percentage. Using myself as an example – and to keep the match simple, let’s use 1g of protein per pound of body weight, if I currently weigh 105 pounds, I should be eating about 105g of protein per day. Because 1g of protein contains four calories, then 105g of protein equals 420 calories (105 x 4). To determine the protein percentage of my total caloric target for weight loss, I simply take the 420 calories and divide by my calorie goal of 1,450, which equals to about 29%. 30% is a good start as a baseline, which you can adjust later. For accelerated fat-loss or those who are already lean and training intensely, you may benefit by consuming about 35% of calories in protein because it has been shown to be the most satiating of all macronutrients, which can be helpful when you’re in a calorie-restricted diet to keep you feeling fuller. Protein is also the most expensive substrate to metabolize, meaning it has the highest thermic effect of all macronutrients. Your body will use a larger percentage of the calories to digest and absorb the protein relative to carbohydrates and fats. The next substrate we want to focus on is fat consumption. 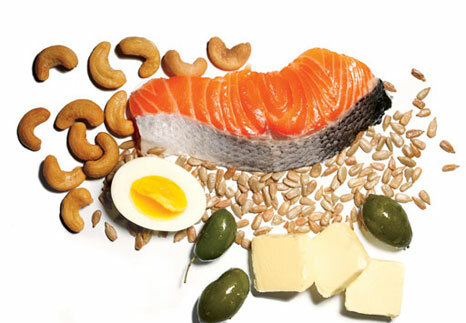 A good starting point is to target a range between 20-25% of your calories coming from fats. 1g of fat contains nine calories. Using myself as the guinea pig, if 25% of my calories should come from fat, then I should consume roughly 360 calories of fat (1,450 x 25%). 360 calories of fats equates to 40g of fat (360 / 9). Keep in mind that is a lot of genetic variation with each individual, so some could benefit with more or less. 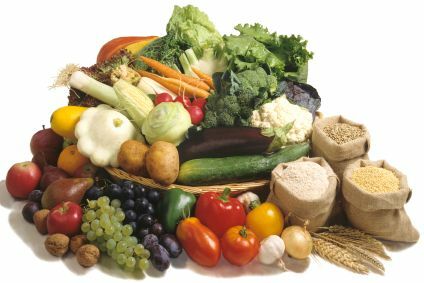 The last macronutrient ratio we should determine is our contribution of calories from carbohydrates. 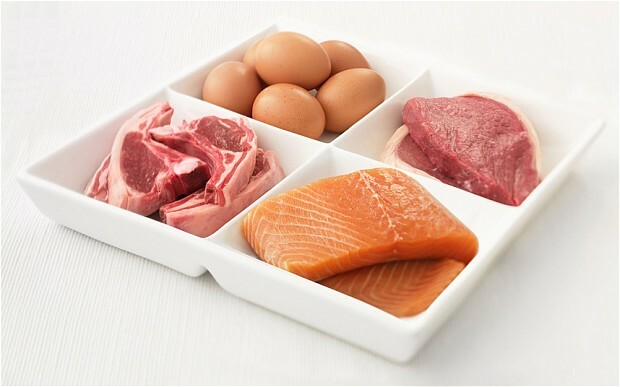 While protein requirements can stay pretty stable, carbohydrate and fat intake are often the most manipulated substrates in contributions to a bodybuilding diet depending on your goals, training volume and intensity, and the body’s response to them. Since I know my calorie requirement for proteins and fats are 420 and 360, respectively, I can now determine what my calorie needs should be from carbohydrates. Adding protein and fat calorie requirements lands me at 780 calories (420 + 360). If I know my total calorie goal is 1,450, then my remaining calories left should be 670 (1,450 – 780). As 1g of carbohydrate equals four calories, then I know I should be targeting to consume about 170g of carbohydrates (670 / 4) or 46% of total calories (670 / 1,450). A good starting point for fat loss is a macronutrient breakdown of 45/30/25 (carbs, protein, fat). However, it’s best to test what works best for you. I am in the process of testing a high fat diet so my numbers will vary quite a bit depending on what I’m testing. From here, you can modify the distribution according to how you feel and perform in the gym and how your body responds to this combination. In numerous conversations with personal trainers and bodybuilders, many find that a 40/40/20 (carbs, protein, fat) breakdown is also effective. This is the split that Arnold Schwarzenegger used in his career in bodybuilding as mentioned in Arnold Schwarzenegger Encyclopedia of Bodybuilding. I recommend this book for anyone interested in fat-loss, muscle building, and ultimately improving body composition. As my body has been my personal science project for quite some time, I’ve experimented with a variety of splits. Two months leading into a bikini contest, my split looked like 30/40/30 of carbs, protein, and fat. Nowadays, I’ve been testing a high fat diet that looks more like 20/50/30 of carbs, fat, protein. In the end, improving body composition is about understanding how you respond to certain diet and training protocol and sticking to what works. It is key to test what works best for your body and lifestyle as individual circumstances and needs can vary greatly. Play around with your calorie-intake and macronutrient breakdown and hone in on what’s effective for you and not the person next to you at the gym. If it’s not working for you, change your diet and/or training, and if ain’t broke, don’t fix it. Give your body time to adjust and enjoy the process.